From Goodreads: For the past five years, Hayley Kincaid and her father, Andy, have been on the road, never staying long in one place as he struggles to escape the demons that have tortured him since his return from Iraq. Now they are back in the town where he grew up so Hayley can attend school. Perhaps, for the first time, Hayley can have a normal life, put aside her own painful memories, even have a relationship with Finn, the hot guy who obviously likes her but is hiding secrets of his own. 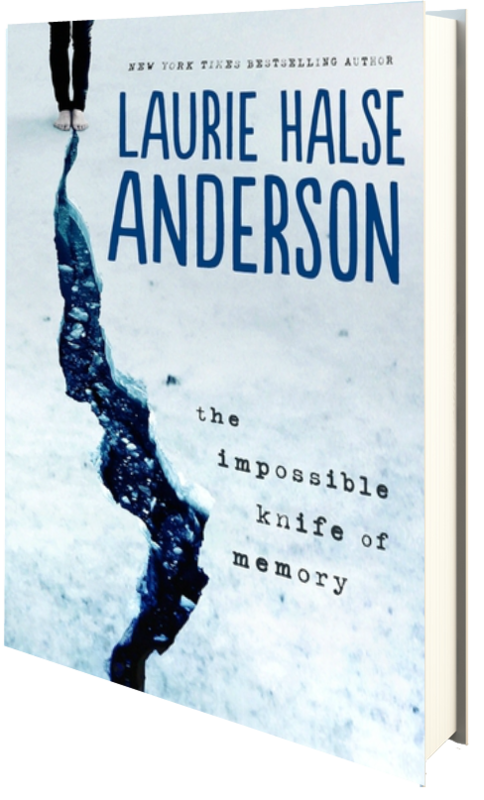 This is a very well written novel by the ever talented Laurie Halse-Anderson. Based on experiences from her own life, Halse-Anderson once again pens a poignant coming of age story ripe with love, loss, and self-exploration. Finally stationary long enough to attend a real high school, Hayley Kincaid hardly has time to focus on the trivial subjects set before her knowing her life at home could disintegrate at any time. Andy, her father, suffers immensely from PTSD brought on by his time in the War–having both good days and bad–causing Hayley to mold her life around his. It is a heartbreaking tale of triumph and misery, one that is beautifully told. Although I tad bit lengthy, this is an amazing look into the life of PTSD. It shows the difficulties that many suffer from once home from war, and it shows the havoc these difficulties can have on families, especially children. Hayley is an exceptionally strong female lead, held up by those who love her and her belief that her father may get better–though in her heart she knows that a good day is becoming more rare with each day that passes. Caught between shielding her father and taking care of herself, Hayley struggles, taking on burdens no child should have to deal with. Closed off and afraid to open up, she slowly begins to trust others, seeking the help needed in order to provide healing. It’s a touching story that all should read. Four stars. I had the opportunity to hear Laurie Halse-Anderson speak at NCTE 2013 in November and was given an ARC of this amazing novel by the publisher, which Halse-Anderson signed for me.